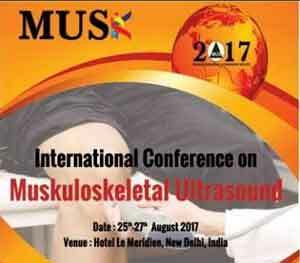 Through the medium of the congress, MUSK 2017 aimed to empower the 400 participating radiologists, orthoepedicians as well as general practitioners in the modality of musculoskeletal ultrasound. The conference saw hands on training being conducted at both basic as well as advanced level with a total 30 Hands on workshops (4 hours) each day being conducted. Variety of topics pertaining to the modality of MSG USG on different parts of the body including shoulder, knee, all six joints etc were covered.